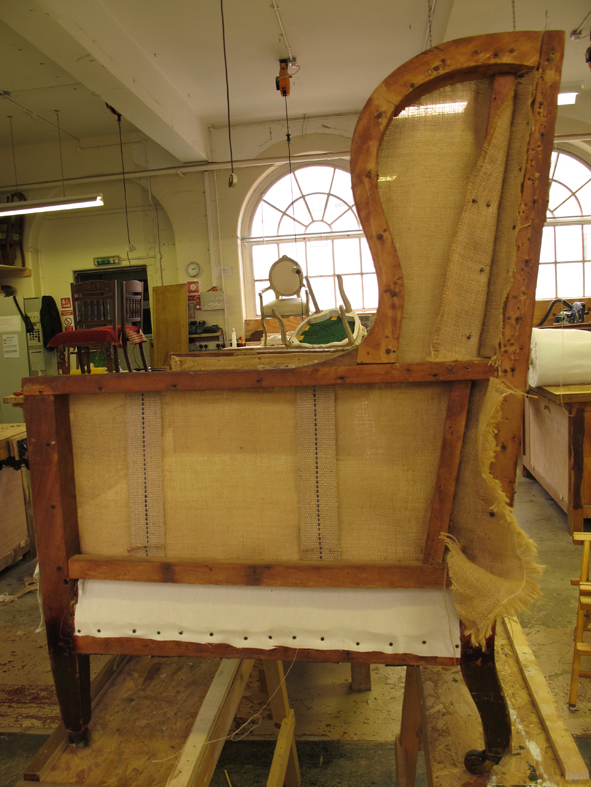 It was exciting visiting the Woodworks the other day as my chair is now ready to be covered with my fabric – all I have to is design it! 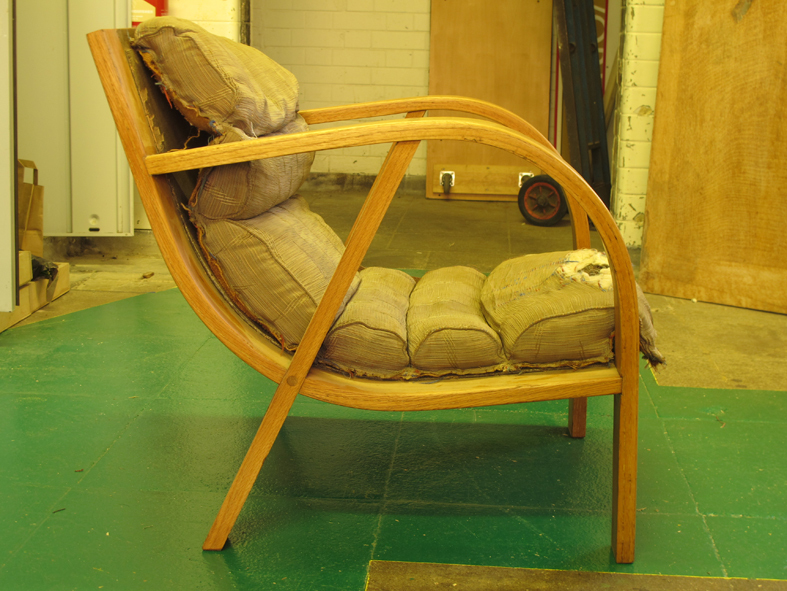 Ian, who has re-upholstered the chair does not share my enthusiasm for it as “he would not have it in his own home”. He is quite curious though what it will look like once covered. He asked me if I was covering it with something pink?! 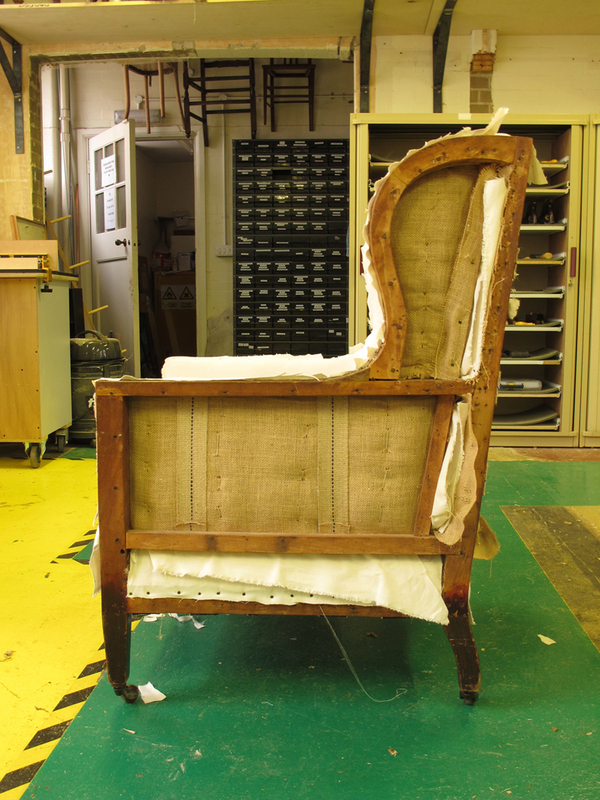 I still have not found out anything new about the history of the chair but I am working on it. I have acquired some rather beautiful old chairs. 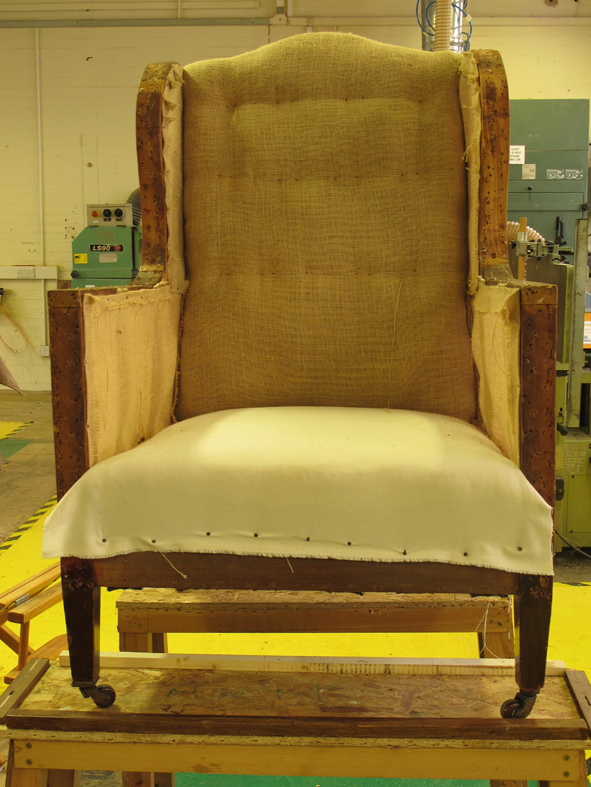 They are being restored and re-upholstered at the Woodworks, a social enterprise in Bath. These chairs were donated and come with a history and it would be interesting to know what it is. This made me think of two quotes from Grayson Perry from the Tomb of the Unknown Craftsman. “The Look of age is also an important component of what we find beautiful.” And … “Age lends authority to an object”. These chairs will eventually be covered with my own designed fabric. 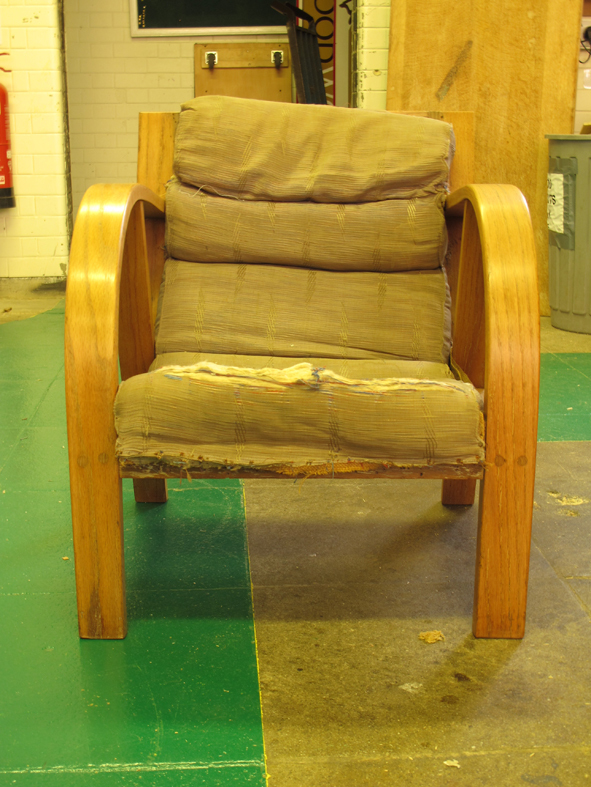 This will add another layer to the chairs’ history. 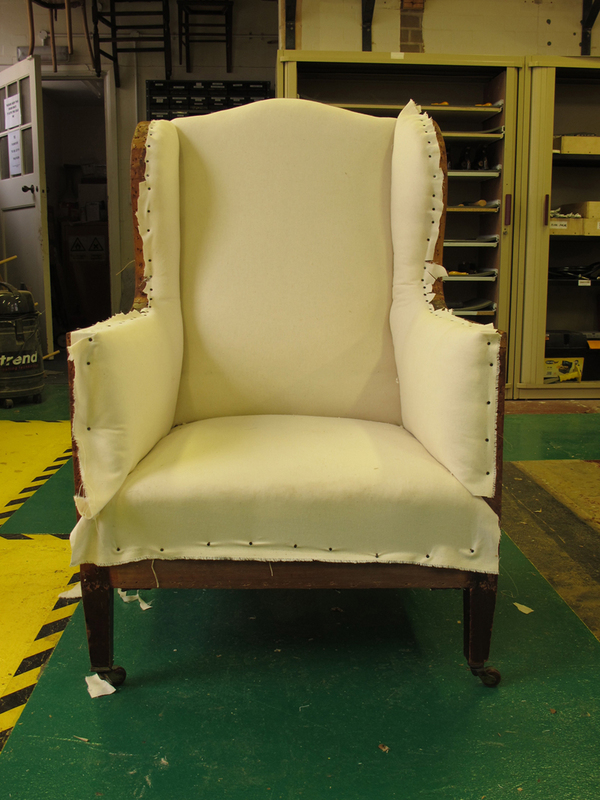 My blog will chart the progress of the chairs.